Crack the eggs into a bowl a beat together with a pinch of salt. 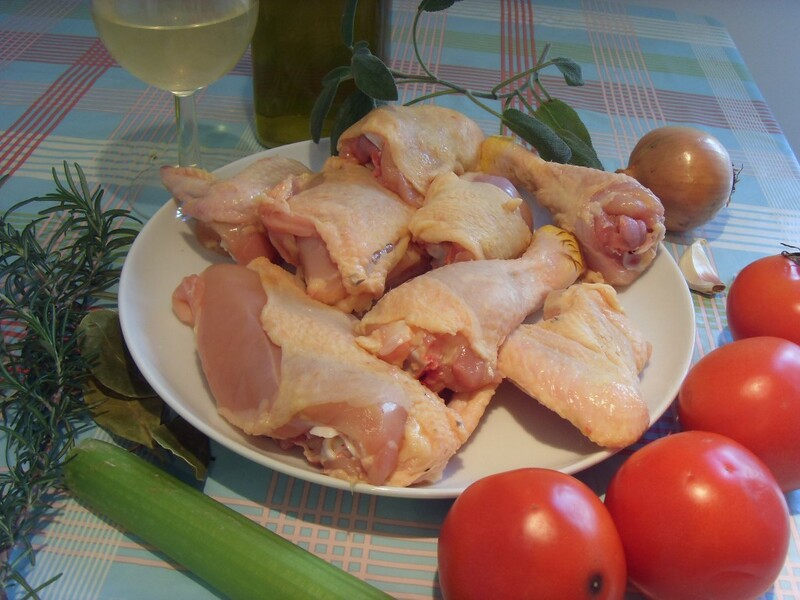 Dip each breast first into the egg mixture, making sure it is completely covered, then into the parmesan, pressing down with your fingers so it sticks to the fillets. Put the mushrooms in a bowl, add hot water to cover and leave to soak for 15 minutes, then drain and squeeze out. 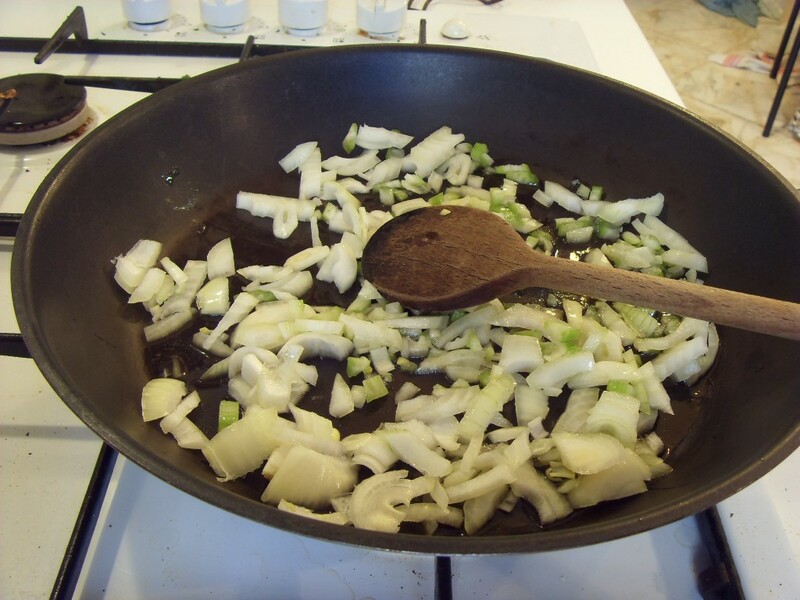 Keep the liquid for flavouring soups or stews. Heat the butter and oil in a pan. 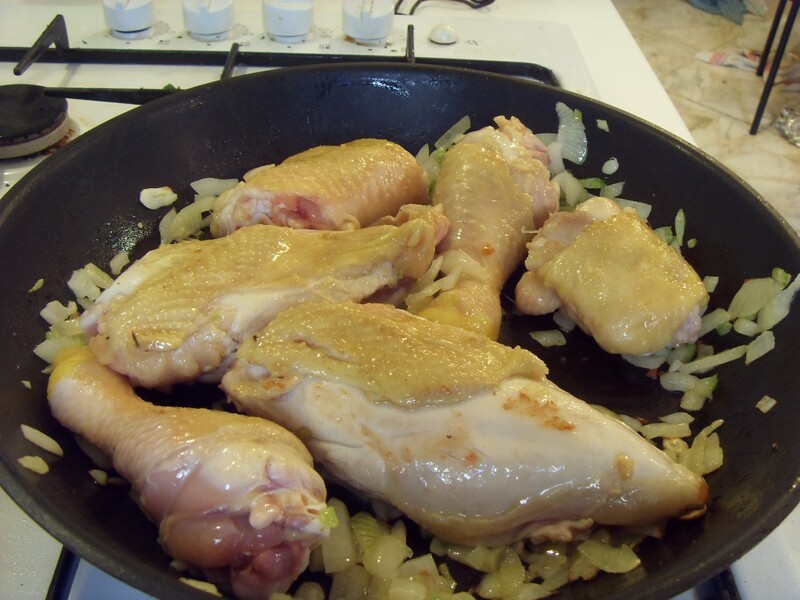 Add the chicken and fry, turning frequently, until browned all over. 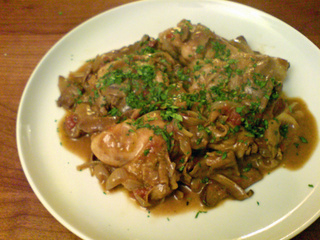 Add the mushrooms and shallots and cook for a few minutes, then add the wine and cook until it has evaporated. Add the passata and 3 tablespoons of water and season with salt and pepper. Transfer to a serving dish and sprinkle with the parsley. 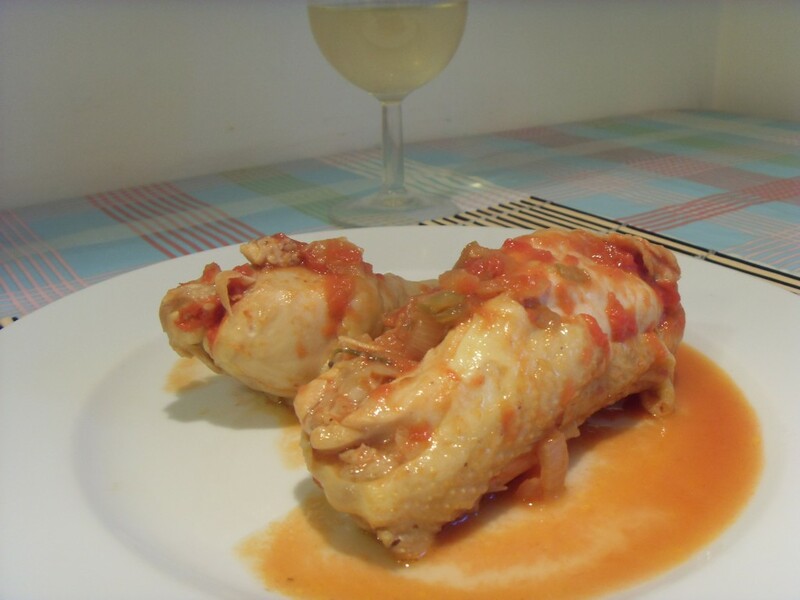 Stuffed chicken legs with Parma ham. Bone the legs. This is a bit fiddly but not too difficult. 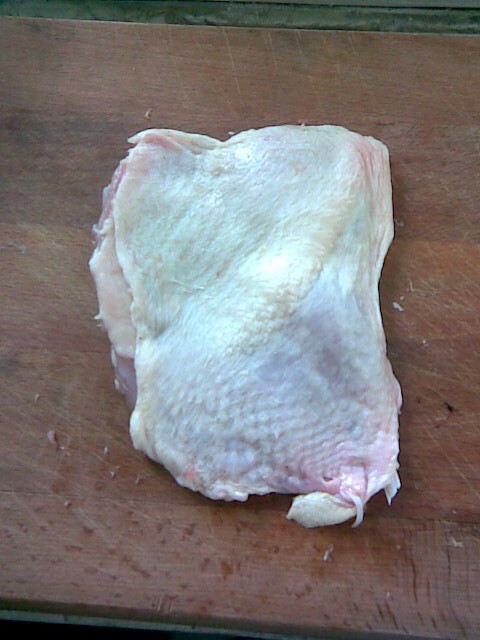 You should get one roughly rectangular shaped fillet from each leg. Mix together the eggs, bread crumbs, parsley, garlic, mortadella and nutmeg to make the stuffing. Season with pepper. Don’t add salt because both the mortadella and the parma ham are quite salty. 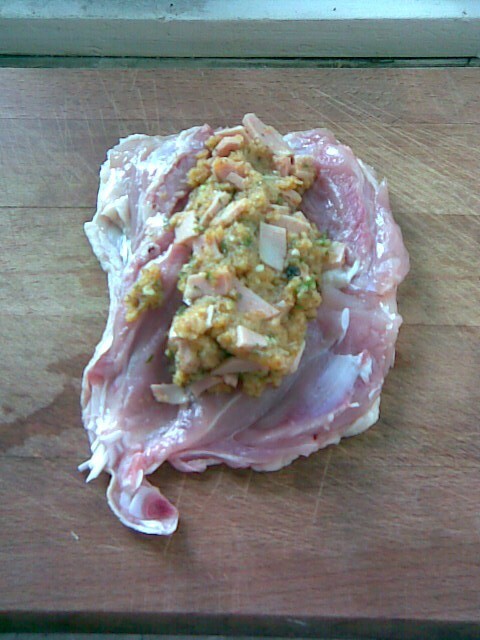 Place 1/4 of the mix along the centre of each leg fillet. 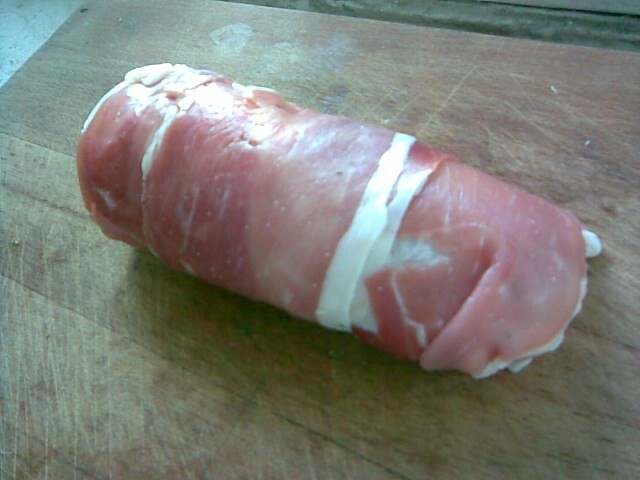 Roll up to form a sausage shape and then wrap with a slice of Parma ham. If the slices are quite small then you might have to use two. 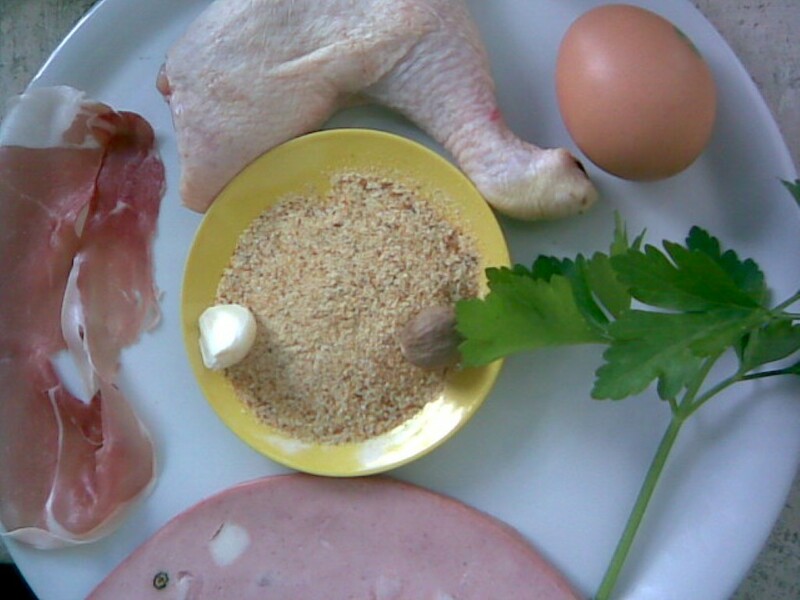 It is easiest if you place the ham flat on a chopping board, place the chicken on top and then roll up. Allow to rest for a few minute and then slice into thick rounds. Finally something other than pasta 🙂 This is another really simple dish which tastes great. 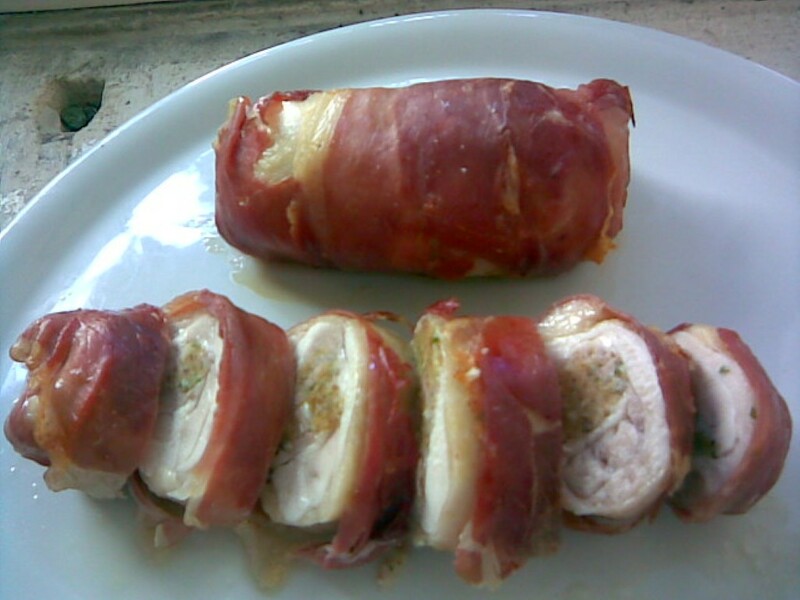 My attempt to recreate a dish I was served in a university canteen last week. I’m still trying to get my head around the idea that it doesn’t seem to be possible to eat badly here, even in a student canteen! In the original version the chicken was beaten into a steak, but I prefer it au natural 🙂 It works best with salted capers but it’s still good with pickled. You must soak either variety first though. If you can’t find unwaxed lemons, you can wash the wax off in hot water. Soak the capers in cold water for a few minutes and drain. Squeeze and zest the lemon. minutes depending on the size. Deglaze the pan with the lemon juice. Add the zest and the capers and stir well. Pour over the chicken breasts and serve.